Author of War Made Easy: How Presidents and Pundits Keep Spinning Us to Death, Solomon just wrote the piece “Media Complicity Is Key to Blacklisting Websites,” which states: “We still don’t have any sort of apology or retraction from the Washington Post for promoting ‘The List’ — the highly dangerous blacklist that got a huge boost from the newspaper’s fawning coverage on November 24. The project of smearing 200 websites with one broad brush wouldn’t have gotten far without the avid complicity of high-profile media outlets, starting with the Post. 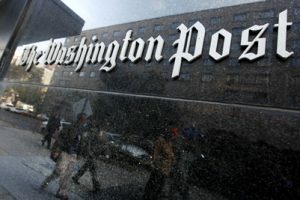 “On Thursday — a week after the Post published its front-page news article hyping the blacklist that was put out by a group of unidentified people called PropOrNot — I sent a petition statement to the newspaper’s executive editor Martin Baron. “‘Smearing is not reporting,’ the RootsAction petition says. … The reply came from the newspaper’s vice president for public relations, Kristine Coratti Kelly, who thanked me ‘for reaching out to us’ before presenting the Post’s response. … But that damage-control response was as full of holes as the news story it tried to defend. Solomon is founding director of the Institute for Public Accuracy and co-founder of RootsAction.org, which just launched another action regarding related new legislation: “Block Creation of Neo-McCarthyite Committee“; see below for more information.